Gatekeeper Storage offers clean, secure, and affordable self storage Oklahoma City for those that are seeking a safe place to store their most important valuables. With multiple locations in Oklahoma City, our climate controlled self storage units are family owned and operated, making Gatekeeper easy to work with. Find a storage facility near you and experience our exceptional customer service directly. Our onsite supervisors can help you in choosing the space which best suits your needs. Gatekeeper self storage Oklahoma City are the most trustworthy self storage facility for your precious items. FANTASTIC NEWS!!! Our brand new 36,000 square feet Self Storage Oklahoma City is now open for the taking. Our Brand New Oklahoma Storage facility features extra large 12x40x16 storage spaces and 12×30 units that are perfect for big boats or vehicles. Not having adequate storage while moving or in a transitional phase can be stressful for anyone. Anytime you are in need of a safe place to store your belongings or vehicles, think Gatekeeper OKC Self Storage Units. We are the saving grace for those that need an affordable and reliable place to safely lock away their valuables. From large climate controlled storage units for boats or delicate keepsakes, to smaller storage units for more durable items, Gatekeeper has a storage unit suited for your needs, no matter what size. We offer a wide selection of storage options that are large enough for RVs and climate controlled units for delicate items. 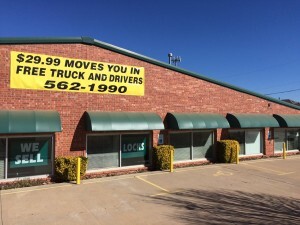 Large climate controlled Oklahoma City self storage units are also available. Our promise to our clients is to deliver clean, ready-to-rent Self Storage Oklahoma City that are designed to keep your valuables cool and safe year-round. At Gatekeeper Storage customer service is our top priority. We have a team of storage professionals that are available 24-7 to assist you with all of your self storage needs. Putting your belongings in storage can be stressful at times. 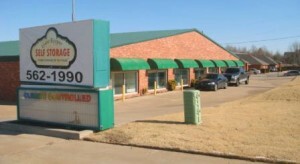 We strive to provide affordable Self Storage Oklahoma City that is not only clean, but that also are extremely secure. You can rest assured that your personal treasures are protected from the elements and locked away safely from society. Safety is paramount at Gatekeeper Storage. We have professional on-site managers, electronic coded gates and full functional fire safety system to keep your valuables safe at all times. WHY CHOOSE GATEKEEPER SELF STORAGE OKC? No other OKC Self Storage Units provide around the clock service and supervision like Gatekeeper does. We are a family owned and family operated storage facility, not a corporate chain. Our customers mean everything to us! We place superior customer at the base of our business model. Gatekeeper supplies world-class self storage units in Oklahoma City that are reliable and affordable. Our assurance to you is to deliver clean, ready-to-lease OKC Self Storage units that are designed to keep your precious belongings cool and safe year round. Most convenient, secure, and professional storage in your neighborhood. We are a family owned company, not a corporate chain. Our dedication to the highest level of customer service has made Gatekeeper a self storage a leader Oklahoma City and Edmond. Let us make your move easy with use of our free Move-in truck! !